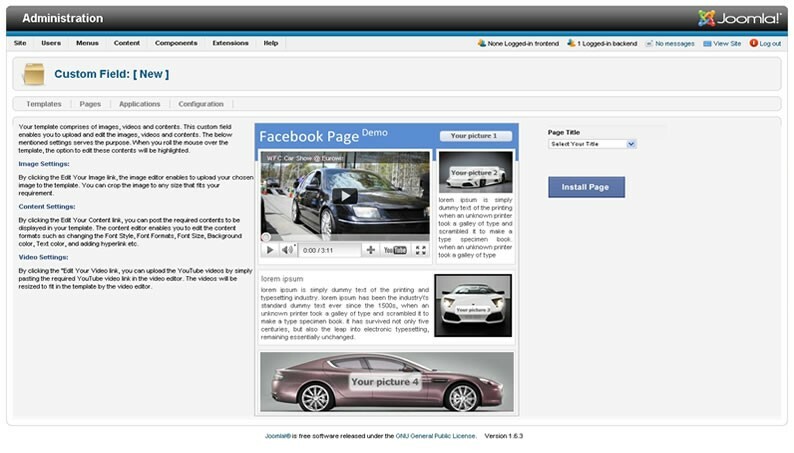 Provides different stylish and professional templates; you can choose your own skin according to your Facebook fan page. Control the Facebook fan page from the component itself. You can update them or delete them through its easy interface. It develops brand recognition of the company and improves the visibility of the FB profile and allows easy interaction with the targeted customers. Great partner in making an attractive Facebook page for your business. Creating a Facebook page is easy, and if we have a Joomla based site our job to create a Facebook page becomes much easier. 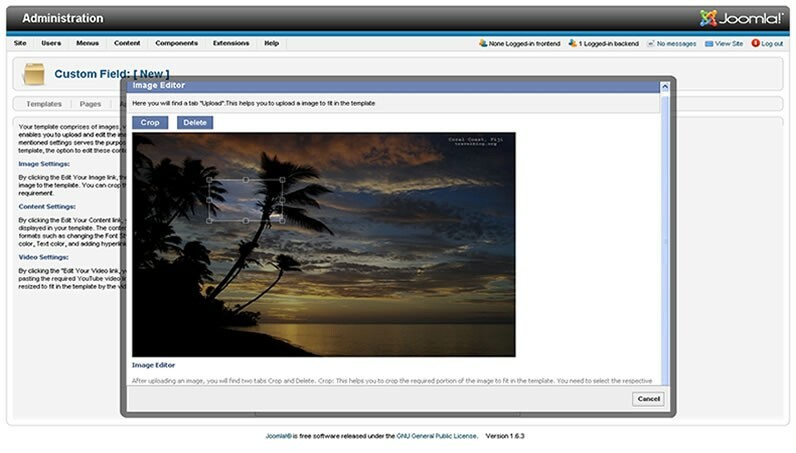 The Joomla Facebook Module is easy to use and allows creating multiple pages. Can add YouTube video and edit your contents. The tremendous rise in Facebook users has inspired many business owners to promote their business through this powerful social medium. However a Facebook profile without corporate logo and attractive design or a simple page may not serve the purpose completely. 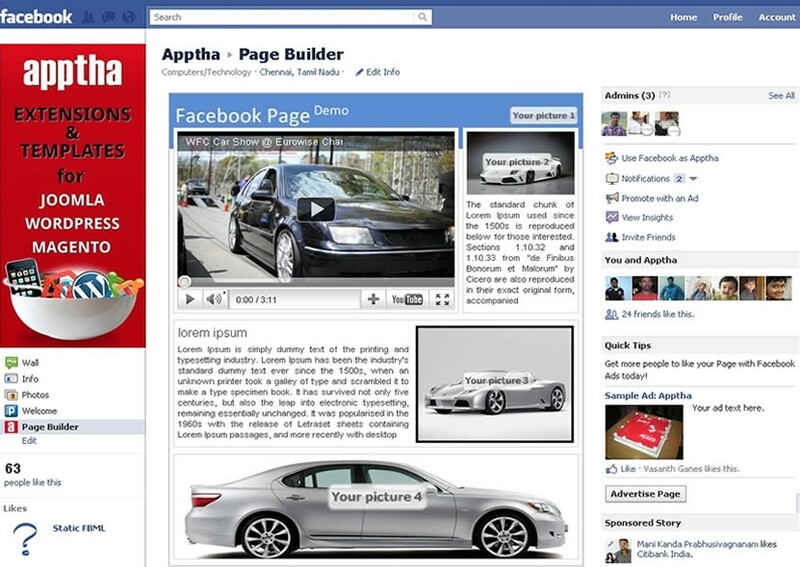 Understanding this lag, our developers have come up with an amazing Joomla extension called Facebook Page builder. This Joomla Facebook page component incorporates an interactive feature and enables the users to quickly design and publish a stunning Facebook Business Page. 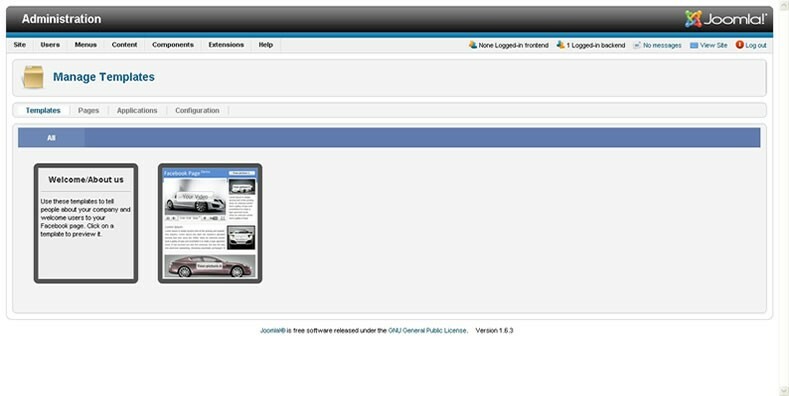 The Joomla Facebook Template is integrated with Facebook sdk and jquery. 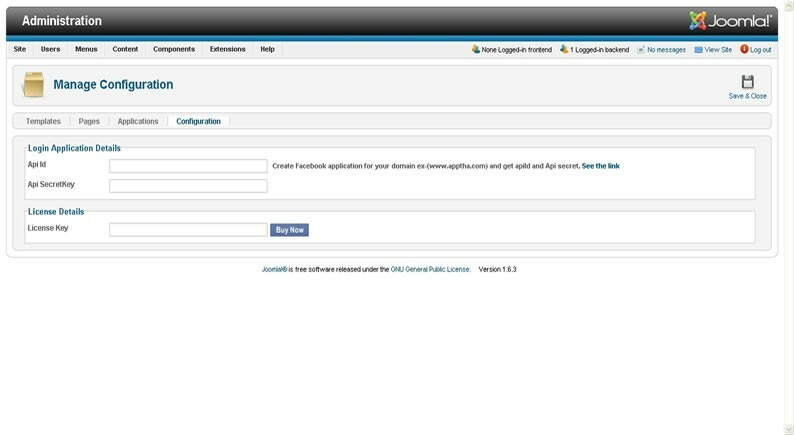 The component is easy to install and can be configured with the help of a step-by-step user manual provided with the component. 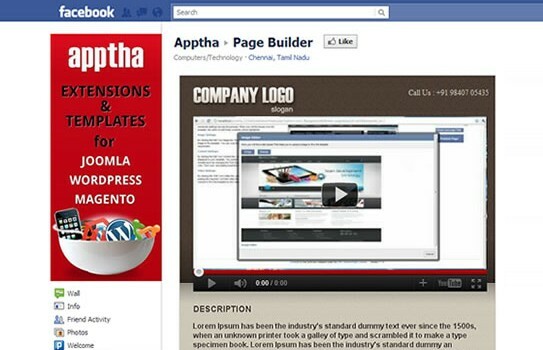 By purchasing the component, you can customize the Joomla Facebook fan page by adding stylish and attractive templates. Create Customized Joomla Facebook page and enjoy a huge benefit as it develops brand recognition of the company and improves the visibility of the FB profile and allows easy interaction with the targeted customers. This extension is useful for all the website owners who are fwmailiar about Facebook Fan page. Creating Facebook fan page become easy using this extensions since it works as a CMS for your Facebook Fanpage. With this you can also create Multiple tabs and menus for your homepage. It's a recommended extension, business peoples surely like this. I got lot of interactions through this. But you could add more features or functionality in upcoming versions. Its really an excellent component. Easy to install and you can modify it as you want. The support team is great, fast, professional, kind and very patient.